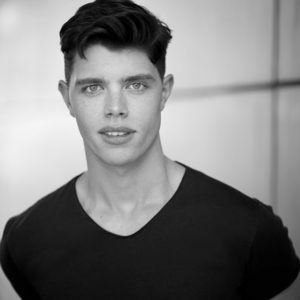 Originally from Ballarat, Todd trained at BBC studios before venturing off to tour the world at the age of eighteen. He performed as a guest entertainer with The Aussie Boys (Barry Ball Artists – USA), on board various cruise lines including Royal Caribbean, Princess, Cunard, Oceania, Celebrity and Holland America. For the past two years, Todd has been performing in the award-winning Australian premiere of The Book Of Mormon, playing Elder White and understudying the role of Elder Price. Further credits include The Pirates Of Penzance and Guys And Dolls (The Production Company), the international tour of Scooby Doo Live!, Rhonda Burchmore’s Vinyl Viagra tour, and television appearances on the Nine Network’s Mornings and Seven Network’s The Morning Show.